This is a slide I built for my Visual Analytics Workshop at BlackHat this year. 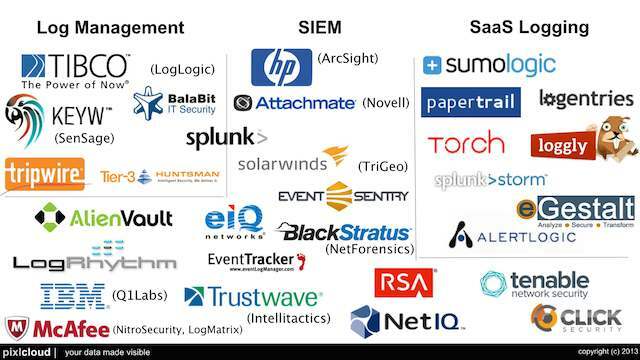 I tried to summarize all the SIEM and log management vendors out there. I am pretty sure I missed some players. What did I miss? I’ll try to add them before the training. Update: With input from a couple of folks, I updated the slide a couple of times.